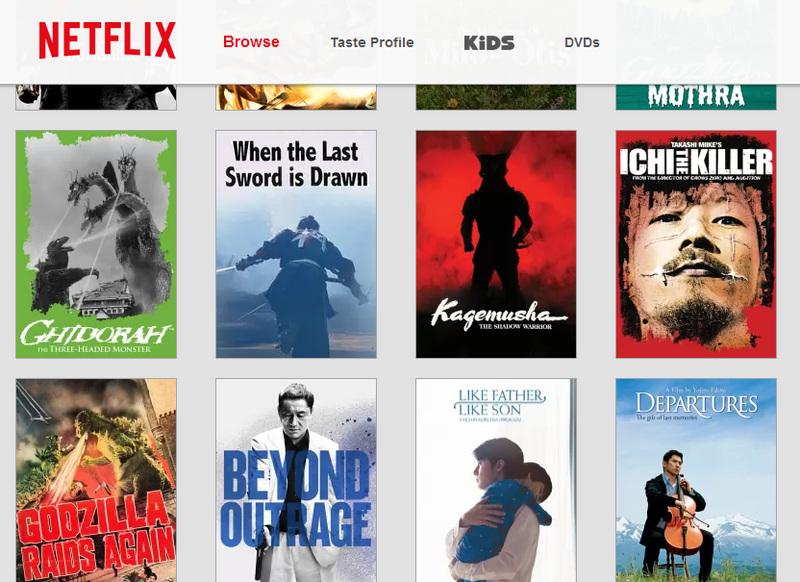 Just Another Day in Japan: Piracy, Netflix, and the slow crawl of "Cool Japan"
Piracy, Netflix, and the slow crawl of "Cool Japan"
[...] [T]he fact that Netflix shows are also being voraciously downloaded illegally renews industry worries that there are no clear solutions to piracy. Entertainment industry executives had hoped Internet-based services such as Netflix, Hulu Plus and Amazon Prime would persuade those watching pirated videos online to begin paying or subscribing legally — much the way music lovers embraced iTunes, even if they had grown up illegally downloading files on Napster. But even Netflix, which at $8 to $9 per month for a streaming-only plan costs a fraction of a typical cable bill, may not be able to curb online theft. This reminded me of a recent Tofugu video, which reported on Tokyo's move this summer to crack down on manga and anime pirates. Essentially they're saying "Thanks for supporting our entertainment industry, but please stop!" This is an issue I've discussed with friends before, and as Tofugu's Koichi asserts, it's somewhat gray. Now I'm not advocating for piracy here, but I do very much understand the impulse to seek out and illegally download that which is cannot be obtained by other means. Japan is sitting on a largely untapped goldmine. For over a decade now, Tokyo has promoted a "Cool Japan" campaign to grow Japanese soft power and exploit the popularity of Japanese culture. Anime, manga, and video games are integral parts of "Cool Japan," yet the respective industries have been slow to adapt. Japanese mobile app blog App Woman voices similar concerns pertaining to Japan's video game industry. "Where is Cool Japan Headed?" asks a recent article. According to a recent study by market research firm Kantar Japan, more Japanese people play games on mobile platforms than consoles now, 48.7% vs. 41.4%. The report shows that Japan has the lowest rate of mobile game play among the Asian countries studied. In other words, the mobile game market is booming! The article goes on to point out that Japan has no shortage of big name titles and series, including "Dragon Quest," "Mario," and "Pokemon." And yet Bloomberg ran a piece just this past May in which Nintendo president Iwata basically said that they'll have to fire him before Nintendo starts selling games on mobile platforms. To be fair, not all Japanese companies are clinging to the well-worn path. Softbank just last year dove head-first into the US mobile carrier market with its acquisition of Sprint, and also bought a majority share in Finnish company Supercell, the maker of the popular mobile game Clash of Clans. Square-Enix has also been steadily porting Final Fantasy and other titles to mobile. And let's not forget about my favorite Japanese mobile developer, Kairosoft, which has been localizing its sim titles for a while now. There is no clear way to measure the success of "Cool Japan," but I would argue that the sustained level of international anime and manga piracy is a good indicator that there is a big opportunity for Japanese entertainment companies, if only they would take advantage. About Doraemon: even though it's coming out in the US it's been "Americanised" (for example, replacing sushi with pizza). Even though for two generations now a big part of the appeal of anime has been its Japaneseness, that kind of thing still goes on. I remember when you could only get anime dubbed... of course people would rather download (or copy VHSs, way back when) from fan subbers! That's a good point. I'm kind of ambivalent about the changes to Doraemon. On one hand I understand the rationale of changing things like dollars to yen and perhaps sushi to pizza if the target demographic is little children. But then again, exposing kids to stuff like sushi and chopsticks is arguably educational, and I doubt it's going to throw them for too big a loop.